I’ve written in previous published articles about people who attempt to win back their youth. One way has been cosmetic surgery or going under the knife, as its commonly called. But going to a surgeon to look good may not be the best option. Rhinoplasty (a nose job), rhytidectomy (face lift), botox (used to get rid of wrinkles) and collagen (to rid acne scars and wrinkles) doesn’t always turn back the hands of time. procedures, many of these people end up looking less youthful and more like a cartoon character. In extreme cases, from either botched jobs or excessive surgery, faces start to look animalistic or disfigured. On the other hand, I see and hear success stories of people who get cosmetic surgery on their face and/or body and the work is virtually unnoticeable. Jennifer Grey of Dancing with the Stars and best known for her character Frances “Baby” Houseman in the 80s film Dirty Dancing fits this category. Not only does Grey look young to be age 50, but she looks more beautiful now than she did 24 years ago. I can honestly say she has an awesome cosmetic surgeon. But, again, her case is one out of many. And although there are numbers of credible people in the field of cosmetic surgery giving Americans a thumbs up and patients who had it done that swear by it, there are still other means available to achieve the same end. Dr. Mehmet Oz, co-author of ‘You on a Diet,’ believes exercise can help us stay young. I have even heard that a new hairstyle can not only assist in our quest to reach physical youthfulness, but help us feel younger too. And for women who want to look younger but don’t want surgery, there are quick, easy and inexpensive ways to do so using makeup. █ Give the appearance of fuller lips by using a lighter shade lipstick and dabbing a little clear gloss like Wet ‘N Wild’s Hi Shine Gloss in the center of the upper and lower lips. █ Wear blush. Not only does it add a blushing hue, it can create cheekbones and add sparkle to the eyes. A good blush to use is MAC’s Mineralize Blush in Gleeful. █ Understand that concealer can be your best friend. It can hide fine lines and dark circles. Try Black Opal’s foundation sticks – they can double as concealer. █ Line the inner rims of the eyes with Smashbox Eye Beam Double-Ended Brightener, it can help the eyes look wider and more awake. █ Use an eye cream, such as Mally Perfect Prep Soothing Eye Gel daily. As an added bonus, keep the gel cool by storing it in your fridge. The cold constricts blood vessels to eliminate under-eye puffiness. █ As with using an eye cream in the morning, a night cream is equally important. CeraVe Facial Moisturizing Lotion PM can reduce skin irritation and promote a healthy glow. maintaining a younger look. Cosmetics are less costly than surgery and much safer. 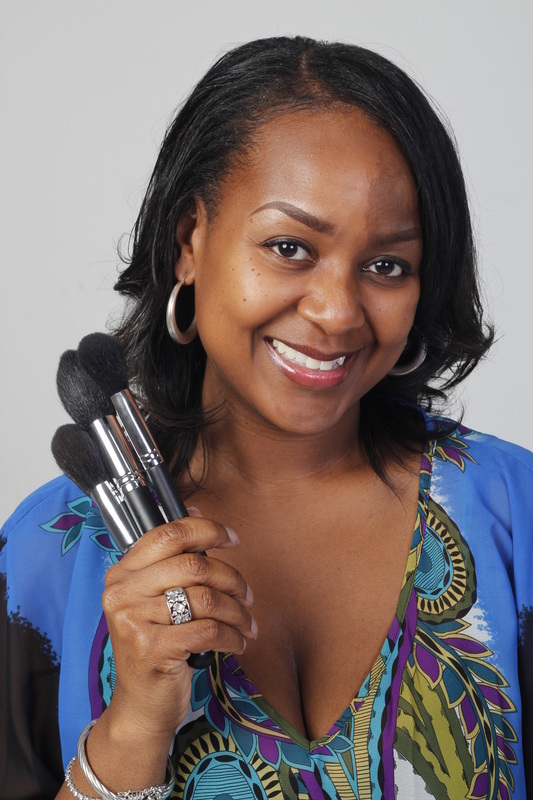 Jenai Leonard is a professional makeup artist & owner of Flawless Faces by Jenai. © 2017 FLAWLESS FACES BY JENAI. All rights reserved. Webmastering by © 2017 Loaf Art & Design Co., LLC.